"That is not dead which can eternal lie, and with strange aeons, even death may die." 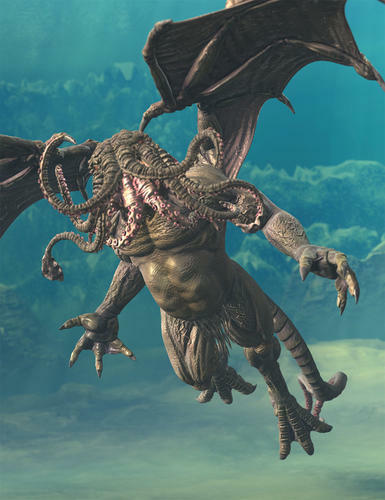 “Cthulhu Rising” is a complete, weight mapped and fully textured figure for DAZ Studio 4.5. 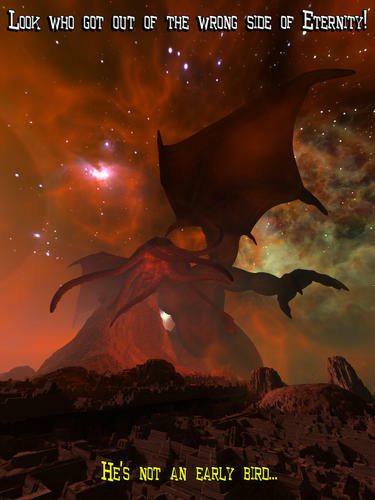 It also includes dozens of pose controls (morphforms) to generate stunning, terrifying and realistic poses. This set also includes a selection of ready to go poses to start using “Cthulhu Rising” as soon as you install it! WOW! 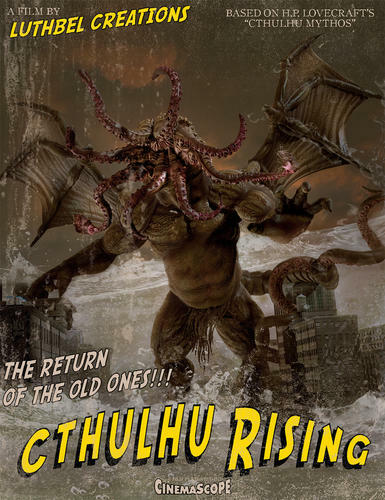 Cthulhu Rising is so awesome, wish I had it in my runtime right now, maybe another time if a poser version comes out. Love your products and own most of them. WOAH! This looks absolutely stunning. I need to own it. Is this a DAZ 4.5 ONLY product or will it work in Poser? And we all know this figure isn't modelled after Gabe Newell, right? 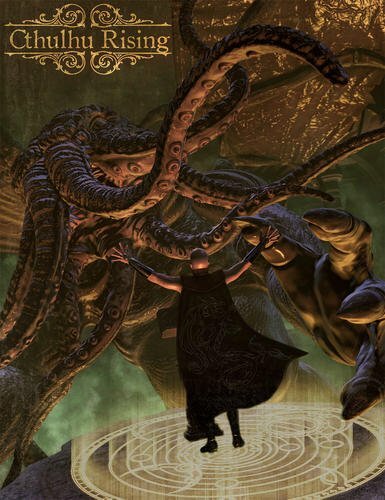 I think you would have made Mr. Howard Philips Lovecraft proud. This one is astounding. My only question is will my soul be tormented with Stygian madness if I try to render it? I can't tell you how many modellers I have gone through trying to convince someone to make something like this!! I am so picking this up. And just in time for Hallowe'en. This is stunning work Luthbel! I think I speak for all of us when I say "Iä! Iä! 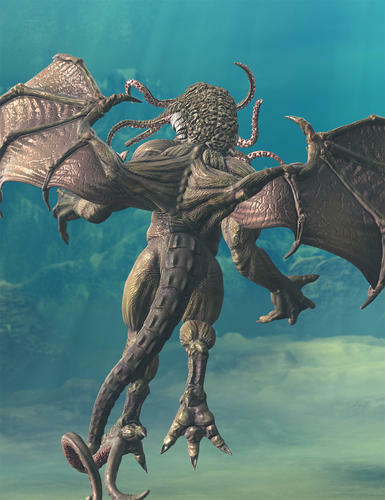 Cthulhu Fhtagn!" My only question is will my soul be tormented with Stygian madness if I try to render it? Make a SAN roll. Then spread some butter on it and eat it. 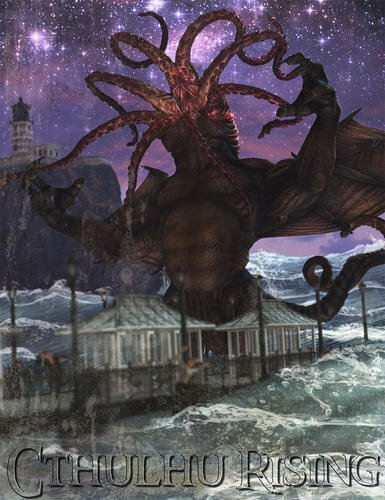 From one Call of Cthulhu game we played. Someone DID see the Great Cthulhu rising -- albeit from distance, and got the mandatory SAN roll. Success! By narrowest margin possible. Even success means Sanity loss, however, since this is Big C we're talking about. So, how much? I would have though once Cthulhu was risen the campaign, and planet, would be toast so any SAN loss would be incidental. I definitely can use the 'Thulster in a project I have on the go. Excellent work! Because the High Priest tells me so. He's my lord, all dank and wet. He won't eat me - no, not yet." Also, "Jesus Saves, Allah Protects, Cthulhu Thinks You'd Make A Nice Sandwich". And ... "Cthulhu for President - why vote for the lesser of two evils?" He's just so darned cute Dan! Good work. This was posted on my wall and thought everyone would get get a total kick out of it. I have Cthulhu in my library. As I told Luthbel in a PM, I'm a guy's guy but a very girlish squeal passed my lips when I saw this for sale. Rendered in Bryce 7.1 Pro - text added with Paint Shop Pro 8. This is one seriously intensely "COOL" beast!